Switch: Your New Nintendo Console, Folks | "DESTROY ALL FANBOYS!" So, here we go. As someone who pre-ordered and owns a Wii U and was/is relatively pleased with the system (albeit less than thrilled it didn’t reach its full potential), this new system intrigues me significantly. Does that portability, HD screen and home/away play element kill off the 3DS’ market? Probably not (yet). 3DS games are faster to make from what I gather, but I’m gathering we’ll be hearing from all those developers who’ve been quietly working away on new and old IP exactly what’s coming. Not a fan of the “lifestyle” video with impossible stuff happening at all… but that’s PR doing its thing trying to make the Switch “cool” to those who buy into this sort of thing. If that too brief The Legend of Zelda: Breath of the Wild footage is any indication of how upcoming titles will look, I’d say we’ll be seeing a few more beautiful games in less open worlds calling wallets out of pockets and purses an March 2017 rolls around. Here’s the Wii U version for comparison’s sake, if you need to do that. Both look spectacular, but you know how some folks are. Anyway, color me really intrigued and on that pre-order list. This entry was posted in 2016, Commentary, DAF, Features, Humor, Updates and tagged 2017, Buy It!, Coming Soon, Imports, Japan, March, Nintendo, Nintendo of America, Nintendo Switch, NX, Shut Up And Play It!, Teasers, Tech, The Legend of Zelda: Breath of the WIld, VGA 101, Videogame Trailers, YouTube by geelw. Bookmark the permalink. 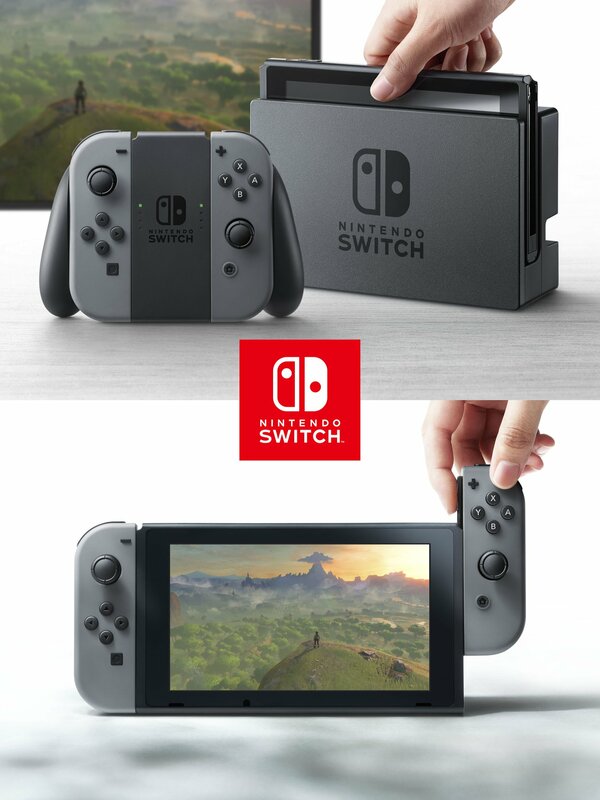 The Nintendo Switch does look interesting. I don’t know if I would take advantage of the portability or not. However, if nothing else, The Legend of Zelda: Breath of the Wild would be the biggest draw for me. It’s certainly worth keeping an eye on and I can’t help but feel a little bit excited for this console. Well, it has Skyrim on it as well, lol. THAT surprised the hell out of me. I’m getting one for Zelda, for sure. But wow, if it’s going to be a great RPG system as well… boom. I also noticed Skyrim. I would love to play that game again on a current console but I’m pretty disappointed with the high price tag for an older game. $80 in Canada from PSN. Yes that $80 CAD does get you the remastered version. And it is cool that you can add mods (really cool). But personally these extras don’t justify that price. The Elder Scrolls 6 will cost $80 and it will have been built from the ground up and not just a tweak of a previous version. Not sure if a used one will have stuff that can’t be redeemed like DLC, but if it’s all on the disc, it should be okay.